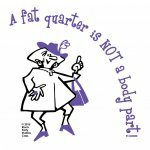 A Fat Quarter is NOT a Body Part - Purple and black on 3/4 purple sleeves with white body. 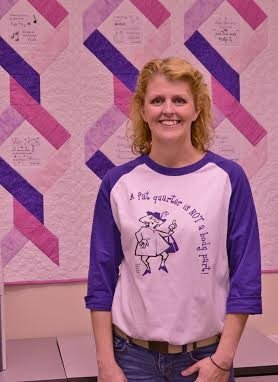 It's fun to wear this Tee that quilters will laugh about when they get this inside joke! Available in S-XXXL sizes.